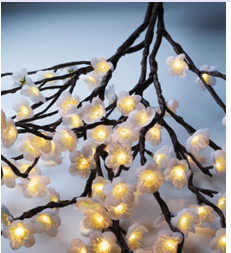 The entire freshness of nature enters your house with these branches of luminous fabric flowers. It blows a wind of beauty and harmony on your festive decorations! I found this in France at Nature et découverte and wanted to bring them back here!